The B & G Restaurant is set on the ground floor of the Tróia Design Hotel. This is a place that breathes contemporary with a magnificent view of the marina. The restaurant offers a menu of Portuguese cuisine inspired by the flavours of the region. Chef João Vieira prepares meals with a careful attention to detail. The freshness, quality and identity of the Portuguese cuisine are elements always present in his kitchen, giving primary emphasis to the regional dishes. The wine cellar of the restaurant offers an interesting selection of wines from the Setúbal Peninsula region and some wines of the best producers of other wine regions. All this service is offered in one of the most beautiful landscapes in our country. 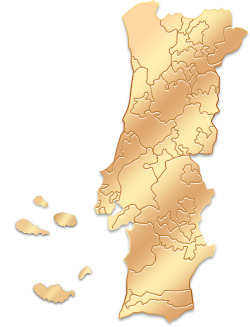 From the city of Porto, take the A1/Lisboa, take the exit towardsA10 Benavente/Algarve. Follow the signs for A13 / Algarve / A2 / A6 / A12 and merge onto the A13, then follow the signs for A2 / Algarve / Alcácer and turn to A2. Take exit 8 to merge onto IC1 / N5, merge onto N253 road and then take N253-1 road towards Tróia. From Lisbon, take the A2/IP7. On the A2 take exit 8 to merge onto IC1 / N5, merge onto N253 road and then take N253-1 road towards Tróia. MENU - "Mar e Mar"
MENU - "Terra e Mar"